New technology is transforming your products, customers, competitors and markets. If you wait others will move first with more aggressive business models. They will make your products obsolete or change your customers’ needs. Your fastest agile response will be too slow. You have one chance to defeat your competitors. Anticipate what’s coming in tomorrow’s world and get ahead of them. You have to leap farther ahead than even the toughest competitors, because the latest high-tech startups are coming after you. Companies struggle to create revolutionary innovations. Ask ten companies which innovations they need and you’ll get ten different answers. Your best answer is, what does your company want? What does that include, and when do you need it? 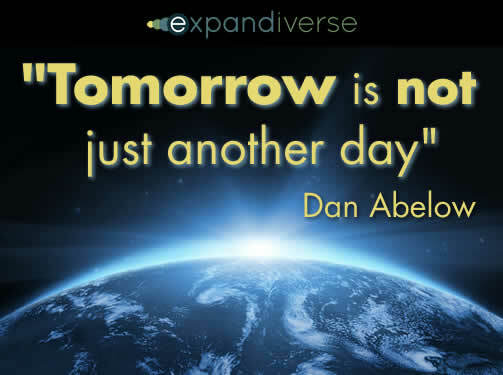 It’s a deep question, because with the Expandiverse, your answer could change the future. Expandiverse Technology offers many options from tomorrow’s world. We’ll start with four, from the fastest to the biggest. First is adding new features to your existing products and services. Every company does this when they plan and develop the next generation of their products and services. The first step is mapping: We overlay Expandiverse features that are appropriate for your product or service, and work with you to select the ones that add the most value. Then we work with the individual product managers, development leads and their teams directly. The features are developed into prototypes, tested and readied for market. For example, Apple’s new iOS 7 parallax screen saver simulates a 3D view. Expandiverse’s “Superior Viewer / Sensor” turns your video communications into 3D, so you feel like you’re with each other, and have just a window between you. Your smart phone, tablet, laptop and more can feel like you’re really with others, instead of looking at them like actors on a flat screen. For a different kind of example, Expandiverse Technology includes security and protection for your physical devices and property. Your company’s phones and tablets will protect themselves, making them and your customers safer. With new features like these you’ll move your customers into a 3D parallax digital world, with devices that are digitally protected and safer, and more. Ready to race ahead while your competitors choke on your dust? 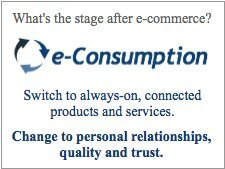 A second option is new products and services. What would you like to add next, or in the future? 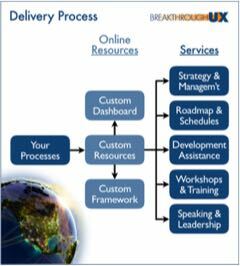 Map Expandiverse Technology to your product road map and provide new choices ahead of your competitors. We work with your teams to help bring your new products and services to market. An example is Virtual Teleportals (VTP), which can add sets of Expandiverse features to current smart phones, tablets, PCs/laptops, and other devices. One VTP feature is becoming continuously connected to your people, services, tools, resources and places. Another is continuous switching so your connections switch with you as you move to different devices. Other Expandiverse features can be added, like shared life spaces, privacy, boundaries and filters. Your company can start delivering an Expandiverse of VTPs across many digital devices. Because it’s both digital and physical, the Expandiverse includes products for capturing your competitors’ customers before competitors can react. 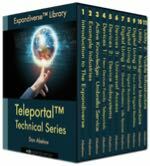 Catch entire markets with new ways to use existing devices, with new Expandiverse Virtual Teleportals. Many of today’s markets are “winner take all.” One company dominates, like Google, Facebook and Amazon. A great example is Apple, which created three dominant products in one decade with the iPod, iPhone and iPad. This third option asks the critical business question: Do you want your company to remain dominant, or become dominant? 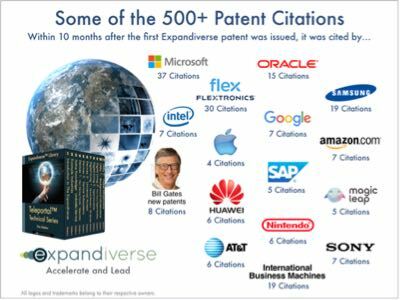 Expandiverse Technology offers opportunities for leading companies to continue to lead, and for challengers to try and capture their entire market or industry. Your answers determine the parts of Expandiverse technology you use, how you develop and apply them strategically to leap ahead of your industry. To try and own the future. For example, devices are a $1 trillion/year industry that includes computers, laptops, tablets, smart phones, smart TVs, interactive wearables like Google Glasses, and more. Teleportals fit those niches and converge computing, communications, television, the Internet and more into a continuous digital reality architecture that follows and supports each user as he or she switches devices during the day. Teleportals make the whole digital world local to every user including their people, services, places, tools and resources. 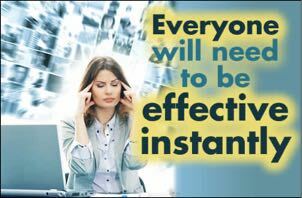 They turn users into global people who routinely use the whole digital world as their personal resource. Teleportals let you leap ahead into tomorrow’s digital world, while handing you the opportunity to capture the leadership of this $1 trillion/year industry. 4. If you make this a digital world, is it your world? Above that is the fourth and largest option. Instead of a feature, a product or a strategic thrust, the fourth option is a time shift. We use so many screens that we can see and feel that we will evolve into a digital world. Now Expandiverse Technology can accelerate us, catapult us into that future. 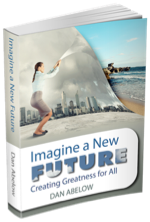 Does your company want to own that future’s products and services as much as possible? If so, one step is to start that future before your competitors. Another is to control Expandiverse IP, which will be in force until 2031, so you can try one or more launches until you reach lift off. The real question is, do you want to be that kind of company? Because if you change the world and become a leader of our next digital world, you may climb to a position you can keep for a decade or two. Maybe for a generation or more. Most good companies already know how to do the three familiar options: New features, new products, strategic thrusts. They know the drill: Evaluate new tech, decide what to use, manage development, use both employees and consultants, create prototypes, test them, then launch and sell, sell, sell. It turns out to be the same to create an Expandiverse time shift into tomorrow’s digital world: Select the tech, develop and test it, then launch and market it. If you hit the target, you win. If not, Expandiverse Technology is IP so you learn, plan and figure out how to try again. If you want a future where your company is the leader, the Expandiverse has these four and more ways you can make it happen. Ready to capture tomorrow’s markets? With Expandiverse Technology, your answer could change the future. Virtual Teleportals: Can competitive advantages kick-start a digital society faster? Can you see the future of today’s devices in less than 5 minutes? Expandiverse emerges from pre-launch beta. 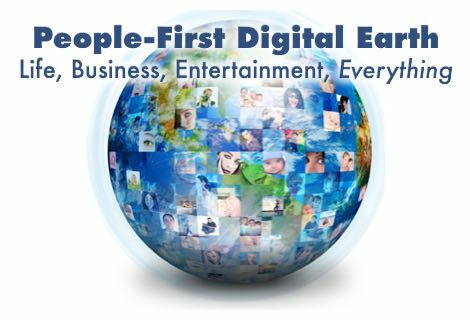 Focuses on business opportunities of transforming the Earth into a digital world. Share the post "Four Ways to Defeat Competitors and Capture Markets"